Hannibal-LaGrange University will hold an Arbor Day celebration on Friday, April 5, at 10 am at the west/northwest end of the Burt Administration Building to celebrate being named a Tree Campus USA® institution for 2018, the sixth year in a row that HLGU has earned this designation. Tree Campus USA® is a national program created in 2008 by the Arbor Day Foundation to honor colleges and universities for effective campus forest management and to engage staff and students in conservation goals. Hannibal-LaGrange University achieved the title by meeting Tree Campus USA’s five standards which include maintaining a tree advisory committee, a campus tree-care plan, dedicated annual expenditures for its campus tree program, an Arbor Day observance, and student service-learning project. This year’s Arbor Day ceremony will also include a reading of HLGU’s Arbor Day Proclamation. This proclamation is read every year on Arbor Day as part of HLGU’s application to remain a Tree Campus USA. 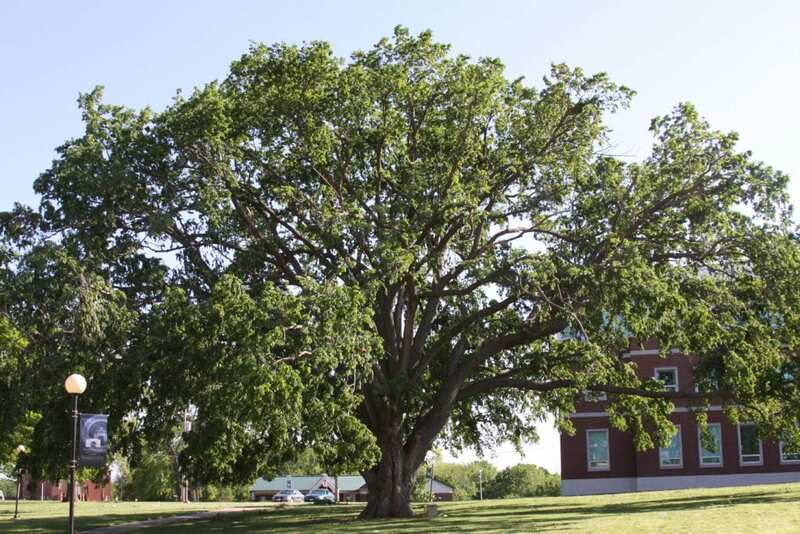 In addition, Dr. Anthony Allen, HLGU President, along with Mrs. Betty Anderson, and a representative from the Hannibal Tree Board, will speak at the ceremony. A bur oak tree will be planted to commemorate the event. For more information on the Arbor Day Celebration, or on how to become a supporter of HLGU’s tree campaign, contact Mrs. Anderson at 573-629-3093, or via email at banderson@hlg.edu.